Yep, everyone got drunk on the good life at El Hombre Last Summer Hangover in Boracay! Don’t be shy, keep memories! Go grab your photos taken by our photographer, Michael Medina. This entry was posted in Events, Featured Events, Party Photos, This Week's Hot Events, Uncategorized and tagged drink, edm, el hombre, events, festival pass, laboracay, Laboracay 2016, last summer hangover, Party, Partyphile, rave, summer. Bookmark the permalink. You’ve got to view this soaking wet album ‘coz this beats the hell out of all the foam parties you’ve ever attended. Find out the awesomeness that happened at Summer Fling Tides Boracay here, taken by Jacas Photography. This entry was posted in Events, Featured Events, Party Photos, This Week's Hot Events, Uncategorized and tagged beach, festival pass, foam, Foam Party, laboracay, Laboracay 2016, Party, Partyphile, summer, summer fling, Tides, tides boracay. Bookmark the permalink. It’s Worth the Hangover if it’s #SummerHangover! The best kind of therapy is beach therapy! And the best kind of hangover? EL HOMBRE #SummerHangover! Labor holiday is coming, and there’s surely no any other place #LegitPartyphiles would rather be than Boracay baby! For the past 5 years, El Hombre had you covered. This year, your most favorite happy hour trip is gonna have its last blow. Join us as we throw one last sunset party for ‪#‎Laboracay2016‬! We bet you’ll have no regrets with this kind of hangover. You don’t wanna miss these 3 invigorating perks, do you? This entry was posted in Events, Featured Events, This Week's Hot Events, Uncategorized and tagged Boracay, drinks, edm, el hombre, free, guest list, hangover, labor day, laboracay, Party, Partyphile, rave, summer, Summer Hangover, sunset, weekend. Bookmark the permalink. Stuck in Manila on Labor Day weekend? Don’t have time to take a trip to Boracay? Worry not ‘cause we’ve got your back! Here are some alternative activities for your Manila staycation! This entry was posted in Events, Featured Events, Music, Uncategorized and tagged DCash, deuce, fedde legrand, festival pass, globe circuit events ground, JJ Saur, john hart, Marc Marasigan, nina saputil, Party, patty tiu, rave, robin thicke, shogun, summer, summer sun music festival. Bookmark the permalink. Labor Day is almost around the bush and we all know the best way to celebrate it! A dream hideaway vacay in Boracay! 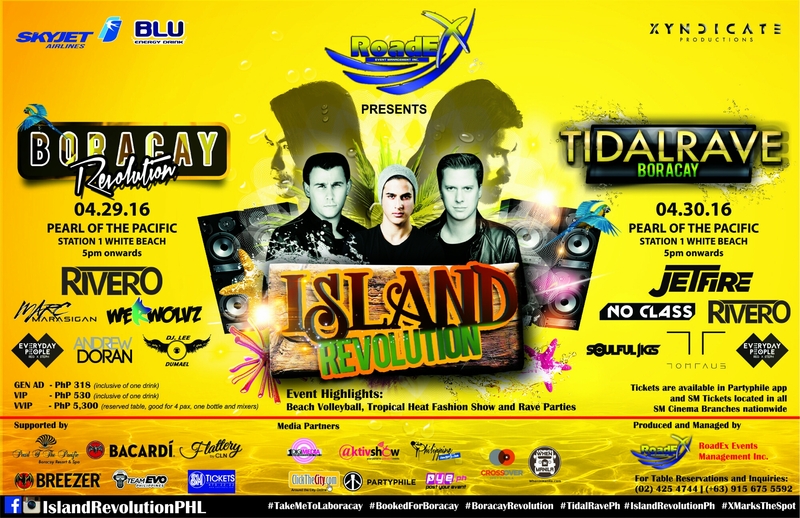 Move your hips and sing-a-long to the songs ’til the chickens croak ‘coz this is how turnt Island Revolution will be! This entry was posted in Events, Featured Events, Music, Uncategorized and tagged beach, BLU, Boracay, boracay revolution, edm, island revolution, jetfire, labor day, laboracay, no class, Party, Partyphile, rivero, summer, tidal rave, tom taus. Bookmark the permalink. Ahhh.. Awesome nights filled with lights and smiles that shone so bright. Here’s what went down at Summer Siren Festival last April 8, 9 and 10. Don’t we all wish to just go back in time and be at the beach having fun? Check out these photos taken by JM Gonzales and remember some of the best nights of your life! This entry was posted in Events, Featured Events, Music, Party Photos, Uncategorized and tagged Crystal Beach, Event, Partyphile, photos, rave, summer, Summer Siren Festival, Summer Siren Photos, zambales. Bookmark the permalink. We bet you often go into movie marathons, food adventures, and road trips, don’t you? Yes dude, a bucket of popcorns, some Netflix and chill kind of night, some chips on hand, and loud music while driving across streets. But how about a rave-venture? Shoutout to all #LegitPartyphiles, we dare you to resist this one we got for you! This entry was posted in Events, Featured Events, Uncategorized and tagged beach, Boracay, Hydro Manila, jose cuervo, Jungle, Jungle Circuit Party, laboracay, lgbt, parties, Partyphile, rave, summer. Bookmark the permalink. 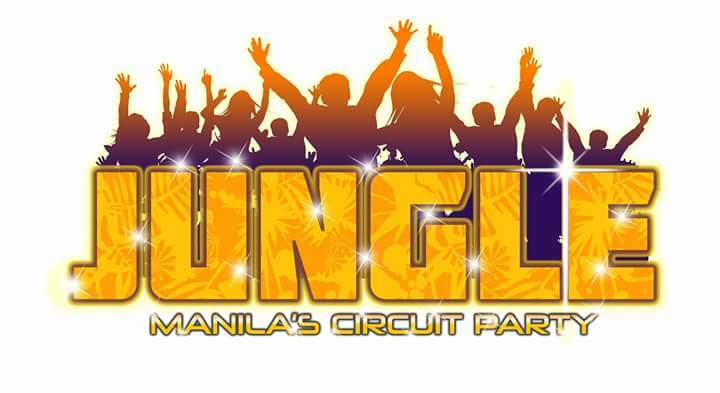 #LegitPartyphile animals, there is no way out in joining the Jungle Circuit in Boracay! Having second thoughts? We’ll convince you to go with these hidden signs. This entry was posted in Events, Featured Events, Music, Uncategorized and tagged beach, Boracay, edm, Hydro Manila, Jungle, Jungle Circuit Party, laboracay, Music, Party, rave, summer. Bookmark the permalink. First of summer!!! The much-awaited beach party in town is coming. On 19th of March, get ready to get wet and wild as Beach Force 2016 comes your way! This entry was posted in Events, Featured Events, Music, Uncategorized and tagged aftermovie, batangas, beach, beachforce, beachforce2016, bikini, edm, Event, nasugbu, Party, rave, summer, tickets. Bookmark the permalink.